In the context of the on-going crises rattling mainland Europe and its surrounding regions – the migrants overflow, terrorism, political instability – the European Commission released last November a Joint Communication reviewing the European Neighbourhood Policy (ENP). The communication follows the 2013 evaluation of the ENP past implementation, and aims to improve partnerships with neighbouring countries, particularly through the promotion of universal values and stabilisation. But after twelve years of consolidating the European Neighbourhood Policy, the European Union continues to miss an open opportunity: reaching other countries through its Outermost Regions (OMRs). 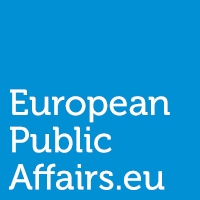 What are the circumstances and how the European Union has fallen short of its full potential in the field of external relations? The ENP was established in the background of the substantial enlargement of the EU in 2004. The resulting integration of ten new Member States in one shot consequently redefined the EU external borders, inciting the European Commission to provide a Framework for the EU relations with its neighbouring countries. The ENP is consecrated by the Treaty of Lisbon : « The Union shall develop a special relationship with neighbouring countries, aiming to establish an area of prosperity and good neighbourliness, founded on the values of the Union and characterised by close and peaceful relations based on cooperation». However, the EU has bilateral partnerships only with « southern and eastern neighbours », and has entered into three multilateral partnerships: the Euro-Mediterranean Partnership, the Eastern Partnership and the Black sea synergy. In other words, the ENP concretely covers three areas, ignoring four other relevant arenas: the Western Indian Ocean region, Macaronesia, the Caribbean and the Amazon basin. These faraway overseas basins are relevant since they also comprise “neighbouring countries” to nine OMRs belonging to France, Spain and Portugal, located in those areas and yet fully integrated as EU regions. Therefore, the EU has the means to reach these areas through its neighbourhood policy, if only its broader external policy would take the OMRs into account. The nine outermost regions may be small in terms of surface area and population, but their added-value is not negligible. Overall, they border 10 other countries or dependent territories (plus Morocco which is already in a neighbourhood partnership) run by 9 Heads of State or Government. Those neighbours count more than 200 million people when the whole nation of Brazil is included (about 45 millions if we consider only its three northern federal states that border French Guiana). This opens the door to contingencies. Many opportunities do exist and are recognized: the OMRs, together with their neighbours, have obvious maritime assets, they are an outpost for research – especially in the field of biodiversity, and are a laboratory for sustainable energy solutions and resilience against climate change, among other potentialities. In addition, the OMRs are a window for the EU to neighbouring countries in terms of universal values and human rights. But their location also induces challenges to the integrity of the EU territory, such as illegal immigration, natural resources plundering, a drug and arms trafficking corridor … definite issues that should be addressed by the EU when reviewing its neighbourhood policy. The European Commission actually acknowledged and encouraged, as early as 2004, the strengthening of relations with other countries or territories in the respective basin of the OMRs, when reflections about a « wider neighbourhood policy » were initiated. The 2008 Communication The Outermost Regions : An asset for Europe, reasserted this proposition, specifying that the OMRs « represent the vanguard of the EU’s position vis-à-vis other major economic bloc ». Later on in 2012, the Strategic paper set up for the OMRs pointed out: « given the OMRs’ geographical position, EU policies with an external dimension are key ». The Strategy thus underlined the need « to better integrate not only within the single market, but within their own regional neighbourhoods » so as to optimize their « full added value to the EU ». So what happened since then? What happened to the ambitious « wider neighbourhood policy » for the Outermost Regions while the European Neighbourhood Policy for the southern and eastern neighbours of the EU was being implemented – more or less efficiently? On the one hand, both the first ENP, launched in 2004, and the renewed 2011 ENP left out these European overseas regions. Furthermore, despite the numerous appeals for the visibility of the Outermost Regions of the European Union in relation with the external affairs, the revised ENP, as set out in the Joint Communication of November 2015, has once again missed an opportunity to include them. On the other hand, outside the scope of the ENP, the expected wider neighbourhood policy has not been fully materialized, if at all. Admittedly, the 2012 Strategy for the OMRs recommends that “Regional neighbourhood plans should be established, consistent with EU external policy objectives“. The 2015 Conference of Presidents of the EU’s Outermost Regions organised a special working group addressing these regional neighbourhood plans. Today, it is now time to finalise genuine regional neighbourhood plans for an effective implementation, including financial support. But in the meantime, the ENP still does not apply to the OMRs and thus these regions remain without a substantial EU neighbouring plan to undertake for at least the next two years. Meanwhile, the Outermost Regions and their government pursue efforts to tighten the relations with their own neighbouring countries, as some have become members of regional cooperation organisations, through their belonging to a state or by their own right. If these accessions highlight their motivation to regional integration, it also means that the strategies adopted by the Outermost Regions in the field of foreign relations does not necessarily reflect the EU own external policy. Thus, the unity and coherence expected for the application of the EU policy in all fields and on all EU territories is not guaranteed. NextThe unclear future of EU-ETS: is there still a chance of success?